How cold is it? 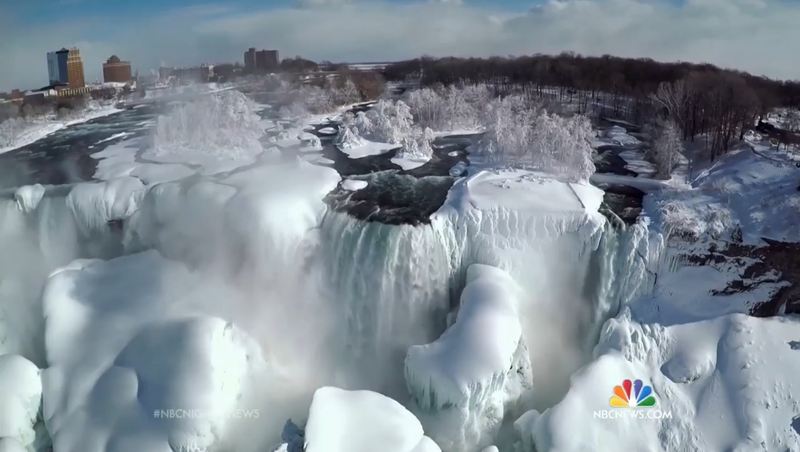 So cold that most of Niagara Falls has frozen over – and NBC News has the footage to prove it, thanks to a drone flight from the Canadian side of the border. 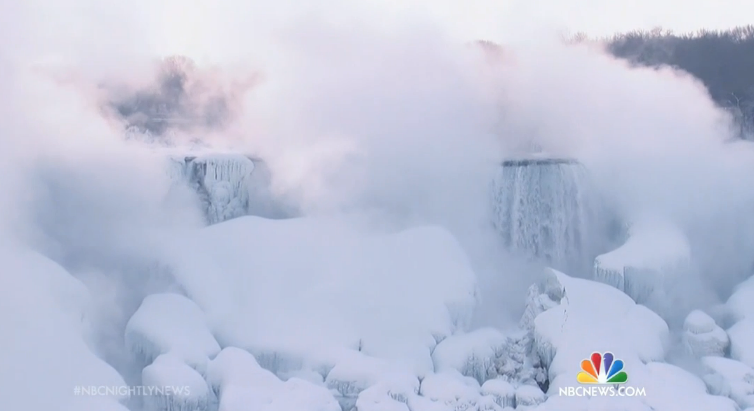 According to a Snopes account of “frozen Niagara Falls” stories, the only time the falls have frozen entirely was in 1848 where an upstream ice blockage caused the flow of water to slow to a trickle. Other recent examples of the news gathering power of drones took place during an explosion over Harlem last year, and after the Napa Valley earthquake. In both those cases, though, the footage was taken by amateurs. Currently, professional news gathering organizations are challenging FAA rules that forbid using drones for commercial use (which may explain, along with the better views, why NBC did its reporting from the Canadian side of the border.) The FAA announced proposed rule changes last weekend to loosen the policy, but those changes are not expected to go into force until at least 2016 at the earliest.